Photographic postcard of Sir Edward Carson signing the Ulster Solemn Covenant in Belfast City Hall on Ulster Day, 28th September 1912. 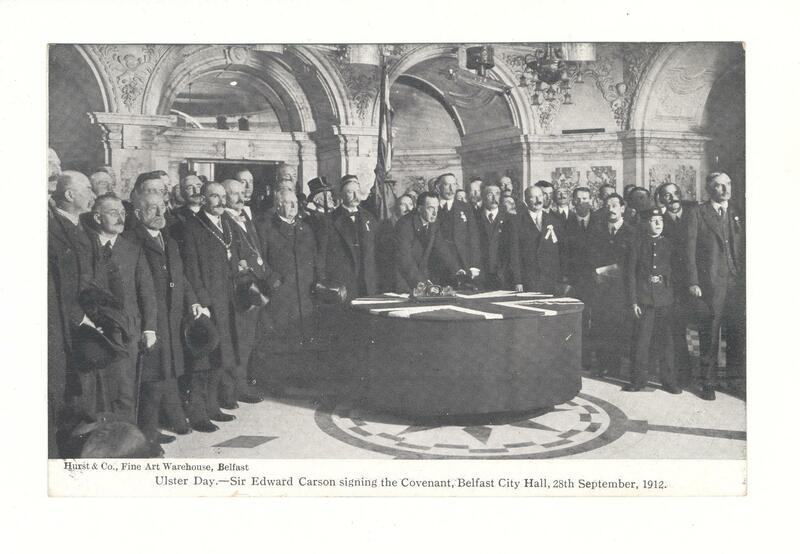 Also seen in the postcard is James Craig and Belfast Mayor and Councillors. The table Carson is leaning on is still in Belfast City Hall.